SSC JE Recruitment 2019 [Vacancy, Exam Date, Apply Online] : SSC JE 2019 Notification has been released by the Staff Selection Commission on the 1st of February 2019. SSC JE Exam is conducted every year for the recruitment of the Junior Engineering position in electrical, mechanical, civil and quantity surveying & Contract. The date of examination will be notified by the Staff Selection Commission later. Interested candidates must go through this article to know important details about SSC JE 2019 such as number of vacancy, registration dates, procedure to apply online, application fee & mode of payment, admit card, exam pattern & syllabus, result, cutoff etc. 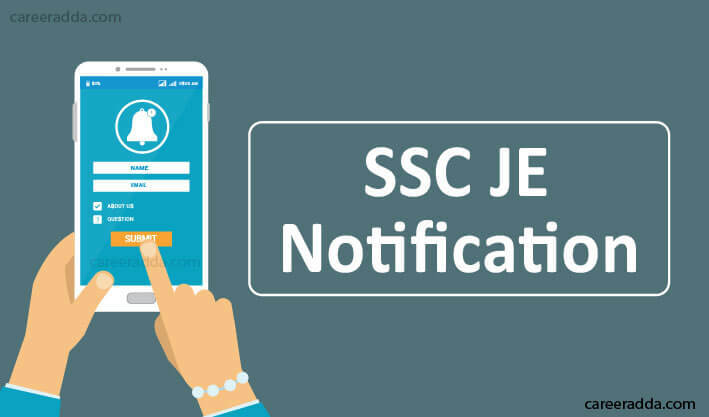 Staff Selection Commission has already released SSC JE 2019 notification / detailed advertisement on Feb 01, 2019 through its official website. To download it now, click below. The applicants must be Indian Citizens. In addition, candidates, who are citizens of Bhutan and Nepal, can also apply. Tibetan Refugees can also apply and those, who have migrated from countries like Vietnam, Malawi, Ethiopia, Zambia, Zaire, Republic of Tanzania, Uganda, Kenya, Sri Lanka, Burma and Pakistan for permanent settlement, can also apply. However, these candidates other than Indian Citizens will have got a permission certificate from the Government of India. Director General Border Roads Organisation (Mechanical/Electrical/Civil) Not more than 30 Years of age. CPWD (Civil & Electrical) Not More than 32 Years of Age. The Application Form for SSC JE 2019 Recruitment will be available online only. So, candidates are recommended to apply online from 1st feb 2019 and before the closing date i.e., 25.02.2019 (5 PM) for applying to the Staff Selection Commission Junior Engineer Position. SSC JE 2019 – How To Apply Online? On the homepage, they will find a link called “Apply”. 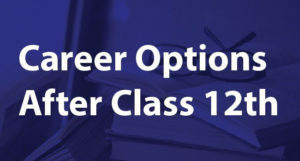 When they click on this link, they will have different options like CGL, CHSL, Steno C & D, JE, CAPF, Constable-GD, JHT, Others and Departmental Exams. When they click on the “JE” Link, they will reach the online application page. Before they can apply, candidates will have to register themselves with the website of the Staff Selection Commission. On the registration part, candidates will have to provide personal details like Gender, DOB, Mother’s Name, Father’s Name, Name, etc. As soon the registration is completed, candidates will find the registration number and password displayed on their screen. Candidates will have to take note of these details. Thereafter, they will have to log in to the website of SSC to apply online for SSC JE 2019. Initially, they will have to fill up the basic details without any mistakes. Next, they will have to upload their photograph and scanned copy of their signature, certificate and other documents. Then, they will have to pay the required application fee through online mode. After submission, they will have to print the application form for the further procedure. Candidates are recommended to take note of the registration ID and password that they can use if they apply for any other position in the future with the Staff Selection Commission. 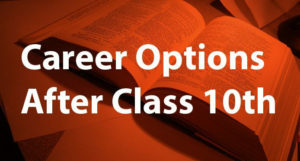 The application fee for SSC JE Recruitment is Rs.100. This fee is applicable to general category candidates and there is no fee for women candidates and candidates from SC/ST/PH and Ex-Servicemen category. Candidates will have to pay the application fee either through Net Banking/Credit/Debit Bank or through SBI Challan. Candidates should remember that fee once paid will not be refunded under any situation. Credit Card/Debit Card Details for payment of application fee. Certificates of the qualifying examination. For the paper- I, there will be a negative marking of 0.25 marks for every wrong answer. There will not be any negative marking for questions that are not attempted by the candidates. For detailed syllabus of SSC JE 2019, candidates can visit the official syllabus page by clicking here. Standard of questions in the subjects of engineering will be in the level of diploma in engineering. Analogies, similarities, verbal and figure classification, problem solving, analysis, differences, space visualization, judgement, discrimination, observation, decision making, visual memory, relationship concepts, arithmetical number series, arithmetical reasoning, etc. Environment, current events, Questions on India and its neighbouring countries especially pertaining toEconomic Scene, History, General Polity, Culture, Geography, and Scientific Research etc. Soil Mechanics,Estimating, Costing and Valuation, Irrigation Engineering, Transportation Engineering, Building Materials, Surveying, Hydraulics, Environmental Engineering. Structural Engineering: Concrete Technology, RCC Design,Theory of Structures, Steel Design. Circuit law, Electrical Machines, Fractional Kilowatt Motors and single phase induction Motors, Electrical Engineering Basic concepts,Magnetic Circuit,Generation, Transmission and Distribution, AC Fundamentals, Measurement and Measuring instruments, Synchronous Machines, Estimation and Costing, Utilization and Electrical Energy, Basic Electronics. Engineering Mechanics and Strength of Materials,1st Law of Thermodynamics, 2nd Law of Thermodynamics, Theory of Machines and Machine Design, Properties of Pure Substances, IC Engines Combustion, IC Engine Cooling & Lubrication, Rankine cycle of System, Fitting & Accessories,IC Engine Performance, Air standard Cycles for IC Engines, Air Compressors & their cycles, Boilers, Classification, Specification, Refrigeration cycles,Nozzles & Steam Turbines, Principle of Refrigeration Plant. Fluid kinematics, Dynamics of Ideal fluids, Properties & Classification of Fluids, Fluid Statics, basic principles, Centrifugal Pumps,Measurement of Fluid Pressure, Hydraulic Turbines, Measurement of Flow rate, Classification of steels. As the first step of the selection process in SSC JE Recruitment, the computer-based examination, which is the paper I will be conducted. Followed by this, offline written examination, which is paper 2, will be conducted. Following these two tests, document verification will take place. Final list of selected candidates will be based on the merit in both the paper 1 and paper 2. In case of tie in the marks, the following order will be considered. SSC JE admit card 2019 release to happen around a week before the test. Candidates can download the admit card from the official website of the Staff Selection Commission, from where they will be directed to the appropriate regional SSC website, from where they can download the admit card. Separate admit cards for Paper 1 and Paper 2 are to be downloaded before the examination. How To Download SSC JE Admit Card? When they click on the admit card option, they will be taken to the following page: https://ssc.nic.in/Portal/AdmitCard. On this page, candidates will find links to the regional websites. Candidates will have to click on the appropriate link based on the region to which they belong. On the regional website, they will have to look for the link to Admit Card. When they click on the link to the admit card, they will have to click on the link that shows SSC JE 2019. When they click on this link, they will be prompted to enter their registration number and DOB. They should enter the registration number and date of birth and should submit it. The resulting page will show their admit card for SSC JE. Candidates should make sure that the details in the admit card are correct before downloading it. Then, they will have to download the admit card and should take print out of the same. Candidates should follow the same process for downloading the Paper II if they are shortlisted. The result for the SSC JE will be released on the official website of the SSC. Candidates will have to check the official website of SSC for updates on the exact date of the release of results. Both Paper 1 and Paper 2 of SSC JE results can be checked by following the mentioned process. Candidates will find a link called Result on the top menu of the website of SSC. When they click on this link, they will find the link to the SSC JE result along with links to the recruitment exams conducted by SSC for other positions. When they click on this link, they will find the list of names of candidates selected. The Cut-off is the least score that the SSC declares for each stage of the recruitment for SSC JE position. Only candidates securing more than the minimum cut-off will be ranked for the further selection process. The final rank list will be published by the Staff Selection Commission based on the marks they scored in the paper 1 and paper 2. SSC Junior Engineers salary Pay Band (JE, Group B, Non-Gazetted) will be of Rs.in Level- 6 (Rs 35400-112400/-) of pay matrix of 7th central pay commission. Q. What Are The Dates For Applying Online? A. Interested candidates can apply online on the website of the Commission from 1st Feb to Feb 25, 2019 (5:00 pm). Q. What Are SSC JE 2019 Exam Dates? A. SSC JE 2019 exam dates will be as follows. Q. Who Are Exempted From Paying The SSC JE 2019 Application Fee? A. Candidates belonging to reserved categories are exempted from paying the SSC JE 2019 application fee. Q. What Are The Modes Available For The Payment Of SSC JE 2019 Application Fee? A. Candidates can pay the fee in both online and offline modes. To pay application fee online, they will have to use their debit card / credit card or net banking. The fee can be paid offline using e-challan. Q. When SSC JE 2019 Result Will Be Announced? A. Dates for the announcement of SSC JE 2019 will be disclosed by the Commission only after conducting the exam.